MV Sightseeing's large buses, historic trolleys, and luxury passenger van make the perfect fleet of options for your Martha’s Vineyard wedding transportation. Whether you’re looking to transport guests to and from, or have additional transportation on hand to shuttle guests pre or post event, we can make it happen. Our buses are the largest capacity vehicles on Martha’s Vineyard making us the best option for weddings of all sizes. Our fully insured, licensed, and experienced drivers have been navigating Island roads for years, and they’re available for early morning or late night transportation too. Let our transportation coordinator work with you or your wedding planner to ensure a smooth ride throughout the planning process. Email us here or fill out the contact form at the bottom of the page for your wedding or special event transportation inquiry. Our air conditioned vintage trolleys are a great way to travel in style, with a capacity of up to 22 passengers. MV Sightseeing offers the only trolleys on Martha's Vineyard, and are available for transporting wedding parties and guests, not to mention they make for a nostalgic backdrop for your photos. Step aboard and step back in time, and reach your destination in style. 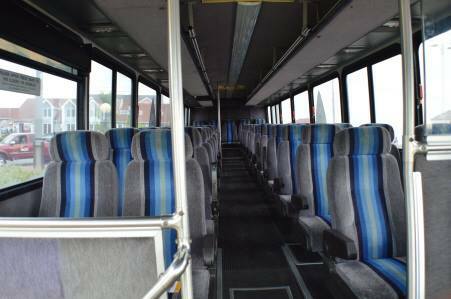 Our iconic buses are able to accommodate 43 passengers comfortably, and are the largest capacity private transportation option on Martha’s Vineyard. Our buses are available for transporting private parties or hosting private tours throughout your wedding weekend, making them the perfect option for accommodating larger parties. Our sleek, luxurious, passenger van is a comfortable and convenient option for a smaller group in your party. Air conditioned with a spacious leather interior, this Ford Transit 350 HD van can accommodate 15 passengers from one corner of the Island to the next. You and your guests can lean back and relax while enjoying an effortless ride to your wedding or event destination. Private Charters are available around the clock, from pre-wedding morning pickup to late night transportation. Extra fee applies to transportation services after 11:30pm, and a 50% non-refundable deposit is due at time of booking. Please fill out the form below for wedding or event inquiries. Please describe the logistics of your event including the pick up and drop off locations, and type of transportation you are interested in.